If unicorn-cat hybrids are your thing, you might want to head to Sam's Club where Kellogg's new, limited edition Caticorn Cereal just launched. The cereal features mixed berry-flavored O's with a sprinkle of edible glitter ("glittery sparkles"). The O's are made with a blend of corn, wheat, and oat flour. A package goes for $5.98 and includes two 18.7-oz boxes. If you have a Plus membership, they'll ship it to you for free. 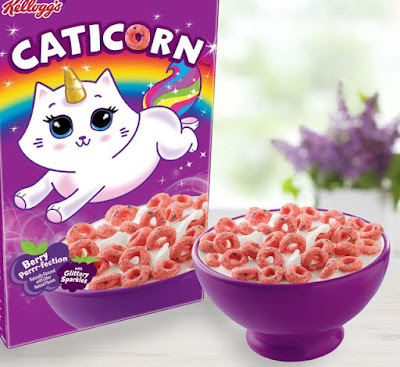 Caticorn Cereal will be available through April 2019. It's currently only available at Sam's Club but will be more widely available at other retailers (including Walmart) in March.